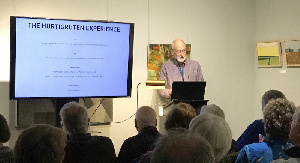 The Social and slide-show Membership Meeting at the T W Wood Gallery was well-attended. Andrew Nuquist presented slides from two Hurtigruten voyages along the coast of Norway. A highly recommended trip, a very personal presentation.